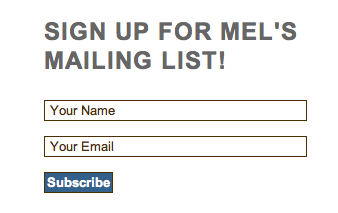 Has everyone signed up for Mel’s Mailing list? Friday we are sending out a very special FROZEN newsletter, you won’t want to miss! Mel’s January Newsletter is going out soon! Make sure to click the link and subscribe to her mailing list for another awesome sneak peek at Gates of Paradise before it’s released in just 11 days!